Hey all! Long time no see! Things are looking up though as today I am bringing you a gorgeous haul from Colourpop. This is actually my first Colourpop haul so you can imagine my excitement after the all the hype about this company. Let me not tell you, they do not disappoint! Here’s what I got. I’m including swatches and a mini review for the products I’ve tried. 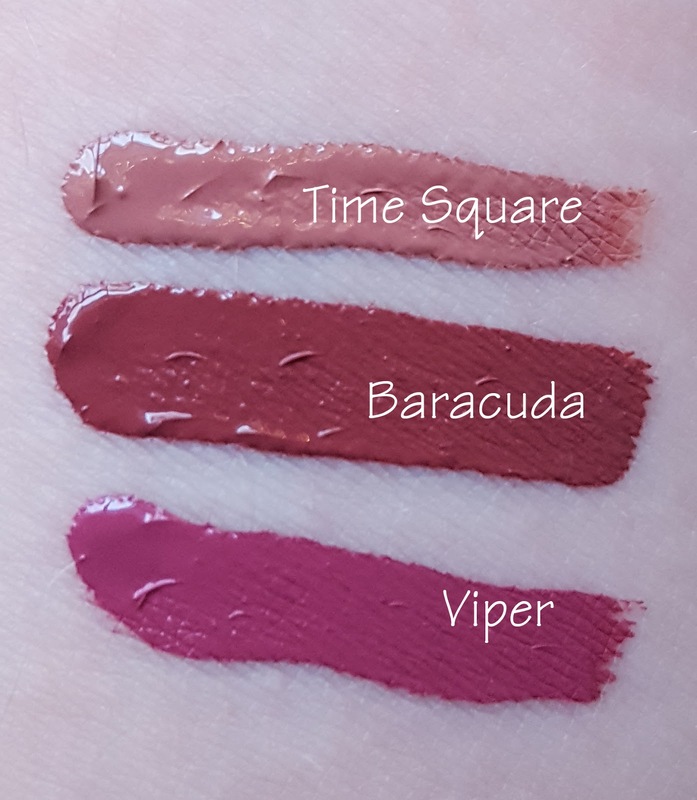 Let me know if you’d like to see more swatches or an in depth review on anything! Thus far, I’ve only tried two of the products but I’ll give you a quick overview on my thoughts. Chateau & Dukes Lippie To Go review – This looks a lot richer on the lips than when swatched. On my camera it looks more like a dark berry but in normal interior lighting it looks like a very dark brick red or wine color. Its very lovely. It doesn’t have that silky smooth feel like the ultra matte liquid lipstick did but it still does apply matte. edit;; I’ve had it on for about 4 hours now and it doesn’t have near the same lasting power as the liquid lipstick I wore today but its still not bad. Just wears off somewhat patchy on the inside of the lip. For short term wear though, I still like this and I think its on par with most other lipsticks. At this rate, I’ll be trying more colourpop products soon! What are your favorites?